I finally settled on a new pair of scissors to buy and I went with a pair of Gingher 7″ Knife-Edge Dressmaker’s Shears. So many people seemed to swear by them and really, I’m a sucker for anything that looks kind of classic and old timey. My grandma had a pair of Ginghers too, so I figure I’m carrying on a tradition, if nothing else. They came with this official little storage case, all velvet-lined and such. I’d like to think I’ll store them in here when I’m not using them, but I wouldn’t put any money on that if I were you. They are a bit on the small side, considering I was thinking about getting some gigantic 10″ Tailor’s Shears, but I’ve got small hands and a small apartment, so 7″ is probably just about right. Now I just need some free time so I can use them. 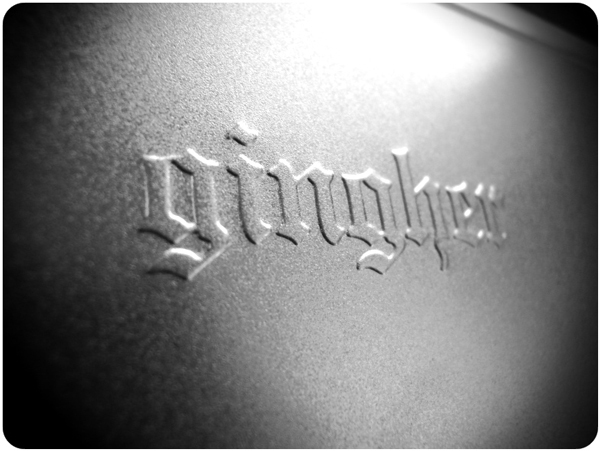 4 Responses to "Gingher gal"
Ahh… the storage case! I cannot tell you how many products I have bought (Crayola crayons, Barnum’s animals, Disney watches, etc) for the cool promotional tin. At one time, those International Coffees came in different “limited” themed tin series every holiday season; the freaky completist in me meant I bought the flavors I didn’t even like. What I ever intended to do with all those tins I have no idea; there might be a few of them as odds and ends catchers in junk drawers. Those little tins are such albatrosses! Seems like such a good idea at the time but eventually all you want to do it get rid of them. The Goodwill and Salvation Army are full of them. I suppose if you wait long enough (40 years?) they become charming again. 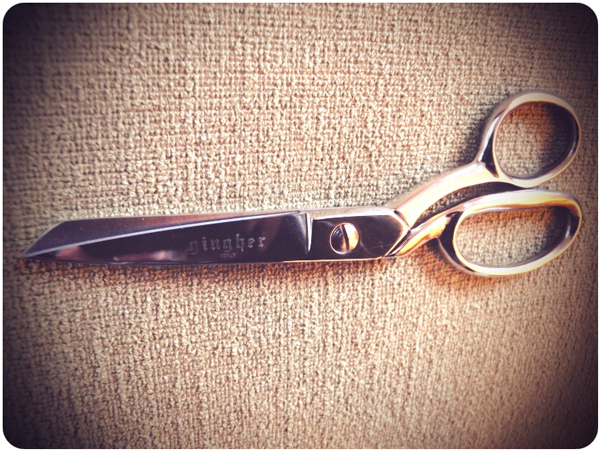 Those are my most favorite sewing shears of all time. I love them. Eee! I can’t wait to use mine.